Public hours: Monday to Friday, 10:00 A.M. to 5:00 P.M. 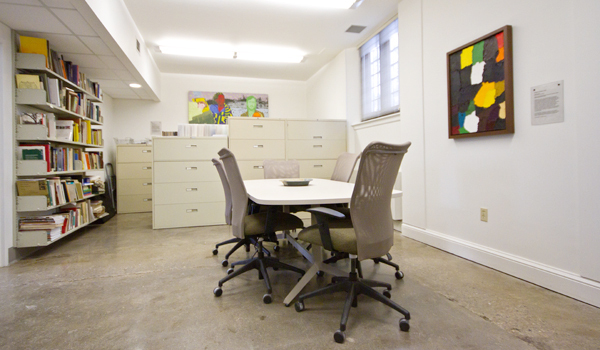 The McIntosh Gallery Curatorial Study Centre (MGCSC) is located downstairs in the McIntosh building and includes documents, publications and archival materials about museology, gallery practices and the McIntosh Gallery's collection of over 3,500 works of Canadian and international art. It also publishes innovative research on curatorial practices, museology and regional art. ...among others, often in their studios and haunts in and around downtown London. Vincent's remarkable photographs illustrated many articles in national art periodicals of the period, such as artscanada, and helped to define what became known as the London art scene. American art educator Stephen Joy, who taught art history at Fanshawe College, established Trajectory Gallery in the early 1970s. The archive includes documents about the gallery's operations and programs up until it closed in the mid-1980s. Includes over 4,000 drawings and paintings, many annotated by the artist. McDougall's journals chronicle the last six years of his life. About 35,000 colour slides demonstrate the way in which McDougall used photography to document subject matter as part of his painting practice.